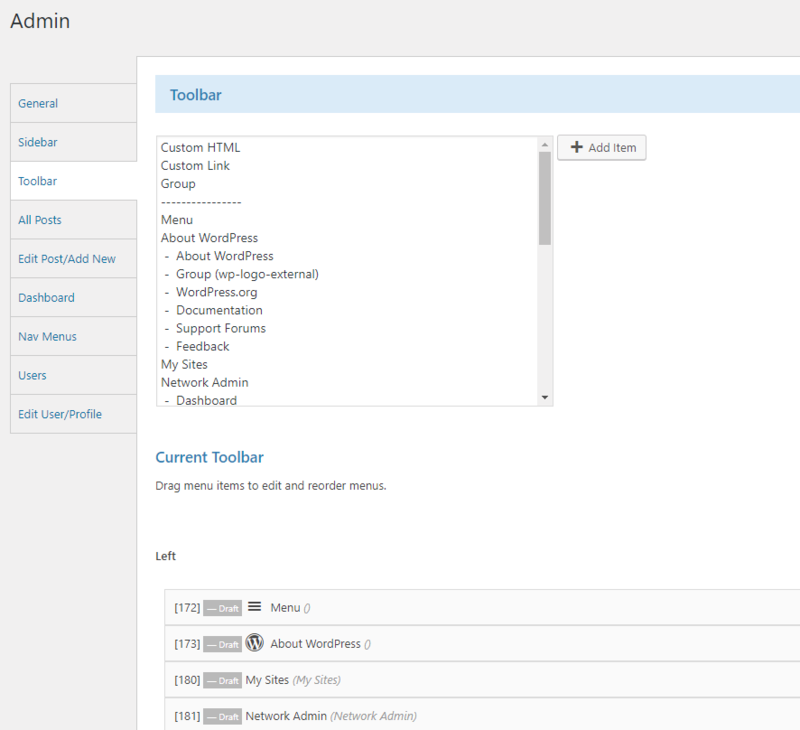 How to customize Toolbar of admin screen. 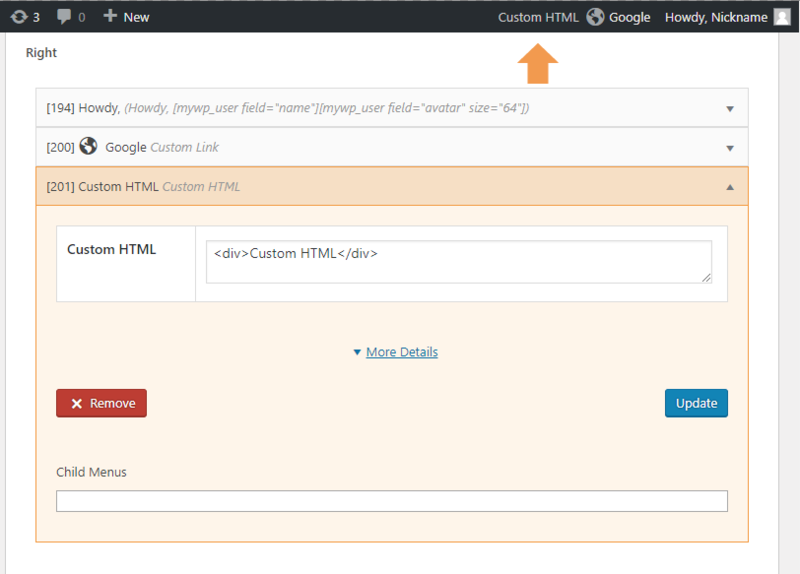 You can be able to setting toolbar items and custom HTML, custom link, Group. Exist menu items is can change the menu title and icon. 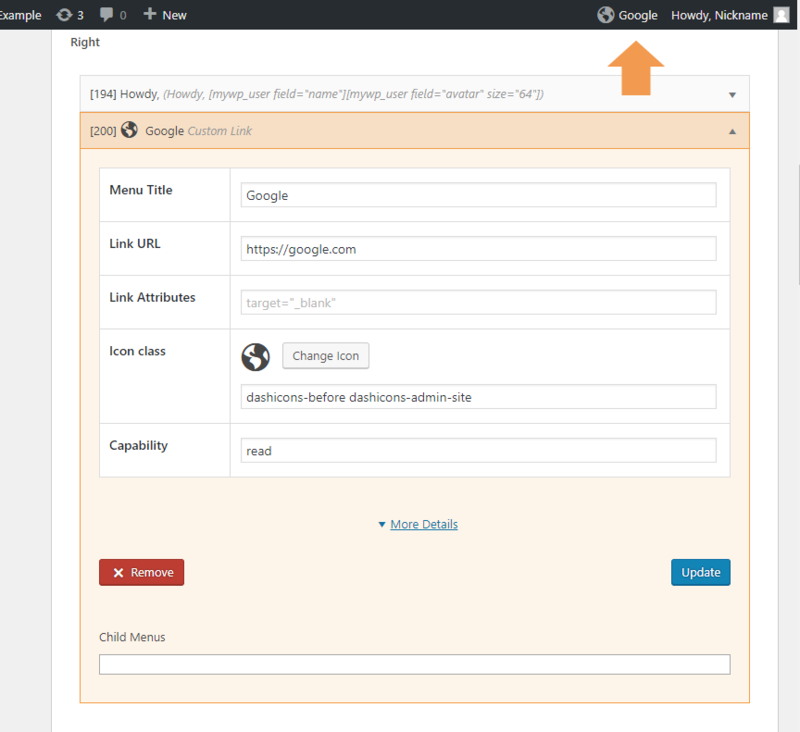 You can be able to custom link and external link for setting toolbar items. And use the shortcodes. You can be able to custom HTML. And use the shortcodes. This has no effect at now, it is for future addition. 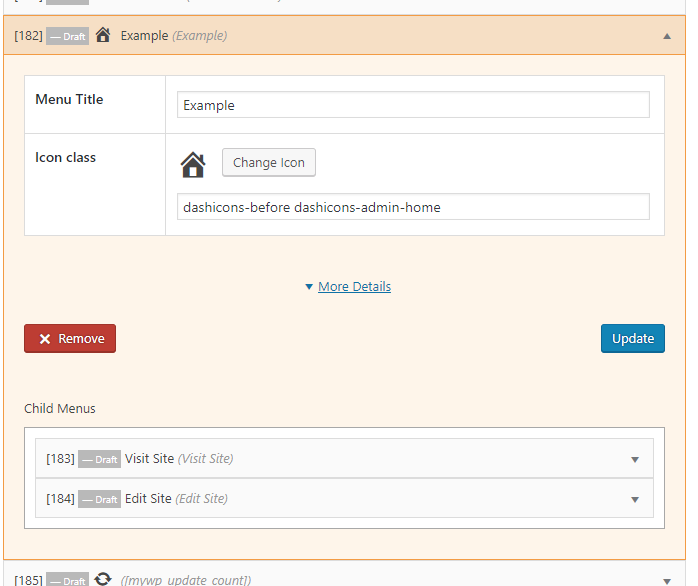 This customize toolbar of admin is use the cache. If does not change the menu items, please re-Save and check the cache time. Thank you so much for this great tool!! It would be nice to be able to customize the toolbar that is displayed on the website side when we are logged, not only in the administration. I am considering the frontend toolbar feature, but sorry it still takes time.